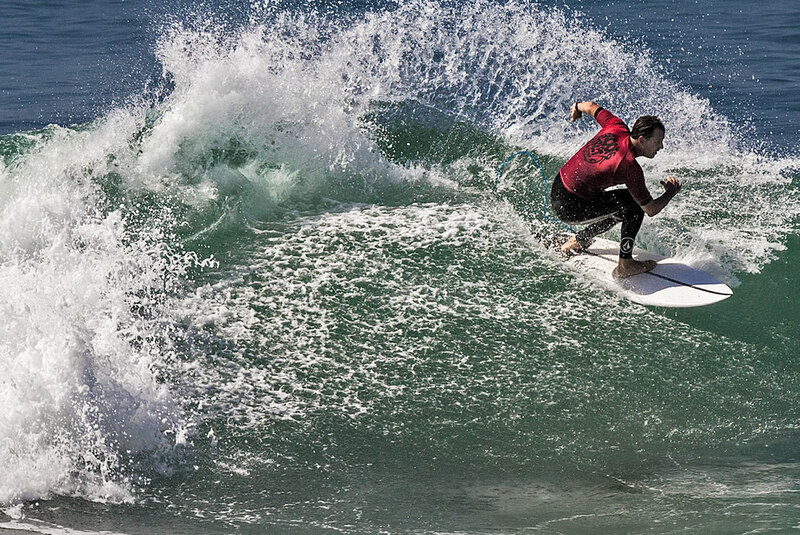 Jason Steris competes in the Brooks Street Surfing Classic, begun in 1955 and the oldest continuing surf contest in the world. 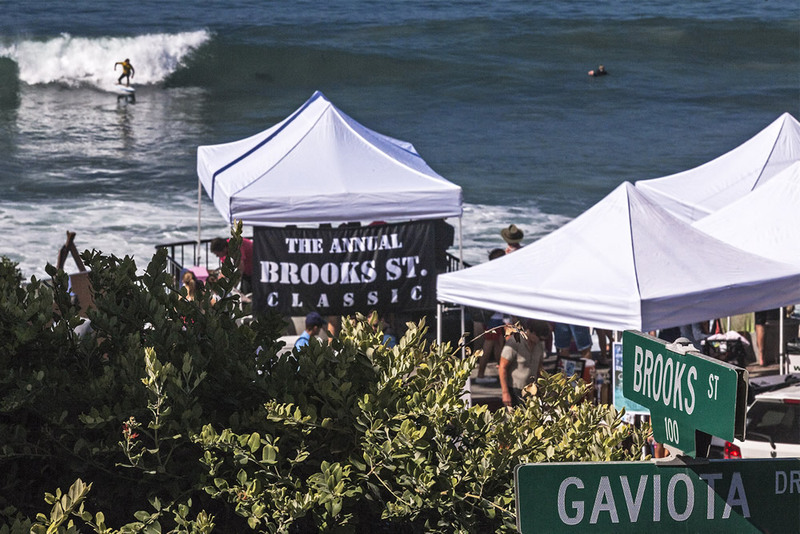 A jovial, relaxed mood oozed from the sand as the 53rd Brooks Street Surf Classic got underway last weekend. Locals gathered to watch hometown surfers carve up the incoming sets whipped up by Tropical Storm Roslyn off the coast of Baja California. The heat forced many to share their shade, leading to impromptu conversations on the goings on about town. A true sense of community could be felt amid the rock-filled shoreline. The line between competitor and spectator often blurred, as athletes emerged from the water to stay and cheer on the next round of contestants. Nate Zoller registers to participate. 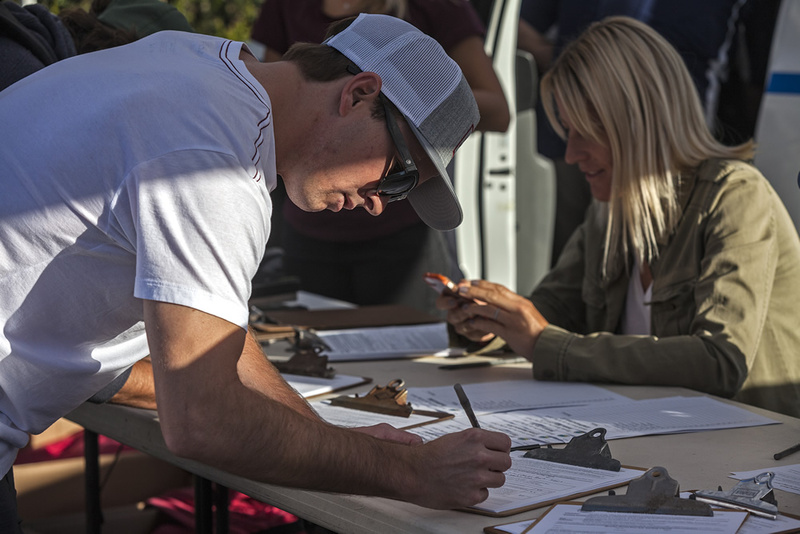 “It brings the community together and gets people interested,” said Zack Lebon, who works at Laguna Surf and Sport, which has strong ties to the Brooks contest. Big winners included Tyler Stanaland, winning in the pro/am; Hayden Rodgers, winning the boys 13 and under category; and Kayla Coscino, winning in the girls 15 and under. Special awards were given out as well, including the Cy Chambers and Thom Chambers awards, given to Dante Madrigal and Tess Booth, respectively. 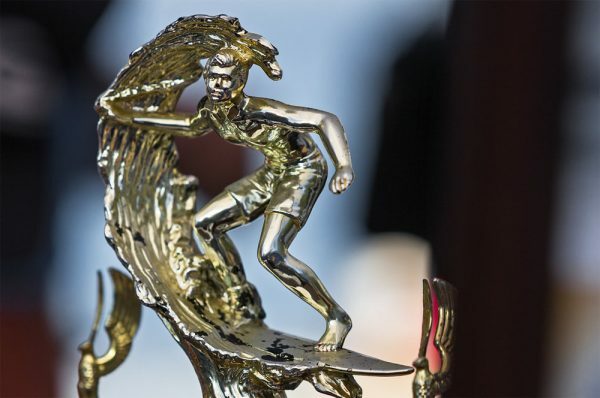 The 53rd edition of the locals-only surf contest took place Sept. 24-25. The Classic is unusual for several reasons. It isn’t held on a specific date each year, but is held dependent on optimal surf conditions. Some years have passed without the contest at all because of the lack of great surf. The Classic started in 1955 and since then has grown tremendously. However, the competition has not lost its local charm. Friends and neighbors gathered on the shore to cheer on all participants, from groms to the grandads, weekend warriors to sponsored professionals. Even as the event has grown in popularity, Laguna Beach residency is still required of all competitors. A Brooks trophy, also home grown. “The Brooks is deeply connected to the community,” said the contest’s volunteer director, Brandy Faber. Everything from the artists who design the t-shirts to the handmade trophies awarded, “everything that is part of the event has to be locally based,” he said. Even as the two-day contest ends, the Laguna Beach surf community awaits the next good swell and the possibility of claiming winning bragging rights in the next Brooks Street Classic to come along.